Are the number and type of documents you need to send to your customers growing? Are you pressured to do more with the same or fewer resources without compromising quality? Would you like to improve the customer experience while reducing costs and increasing efficiency? If you answered “yes” to any or all of these questions, then a communications management solution is worth considering. The key components of an effective communications management system are: 1) communications management software, 2) folder inserter(s) and 3) address validation software. In this article, we’ll provide an overview of the role and functionality of communications management software and provide a case study with hard data on the results one organization achieved by implementing a communications management solution. This software is at the core of the solution, the brains, if you will. Communications management software electronically gathers documents such as invoices, statements and reports from a variety of sources (billing, ERP, CRM system, etc. ), processes them (more on this in a moment) and routes them to the appropriate communications channel including email, mail, web portal or fax. 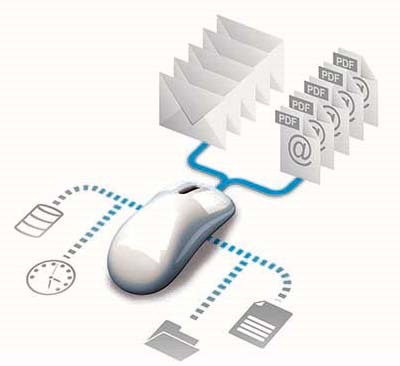 An example of this type of software – Neopost’s OMS-500 – provides centralized administration and distribution of documents from different departments (in different locations if desired) to be custom-processed and routed through the appropriate communications channels for each document. OMS-500 opens up a whole new world of possibilities in the way that you communicate with customers (or others you send documents to). What are the results of communications processes optimized with OMS-500? Paper documents don’t require manual sorting, folding, etc. 88% reduction in labor costs. Improved job satisfaction for employees doing the work. Ability to re-assign existing staff to higher-value and more fulfilling tasks. Improved data quality and deliverability of mail. Improved mail handling including grouping documents by recipient instead of sending multiple documents per recipient. Postage savings achieved from combining reports for the same recipient. For more details on OMS-500 software you can download a brochure here or watch a video on OMS-500 here.